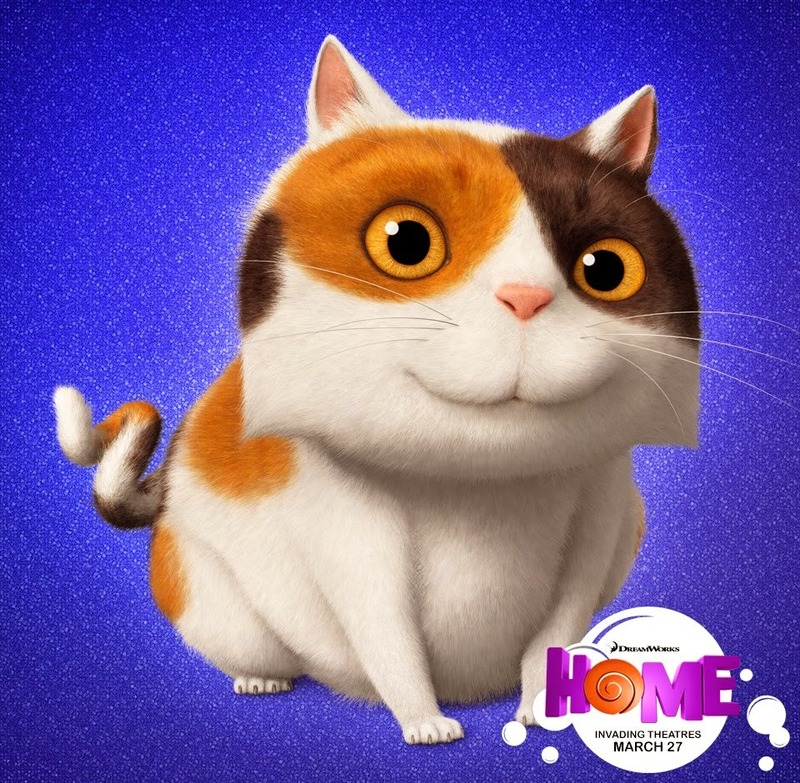 Watch DreamWorks' HOME - Official Trailer here. 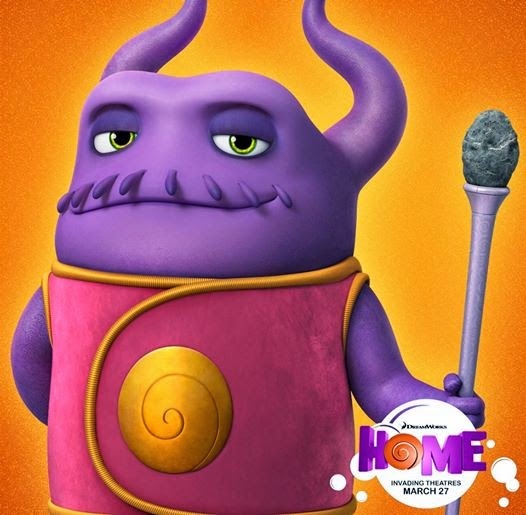 Meet Oh - a smart and hard-working Boov who loves doing things on his own. Sometimes he feels more human than Boov, which makes him a bit of an outcast. 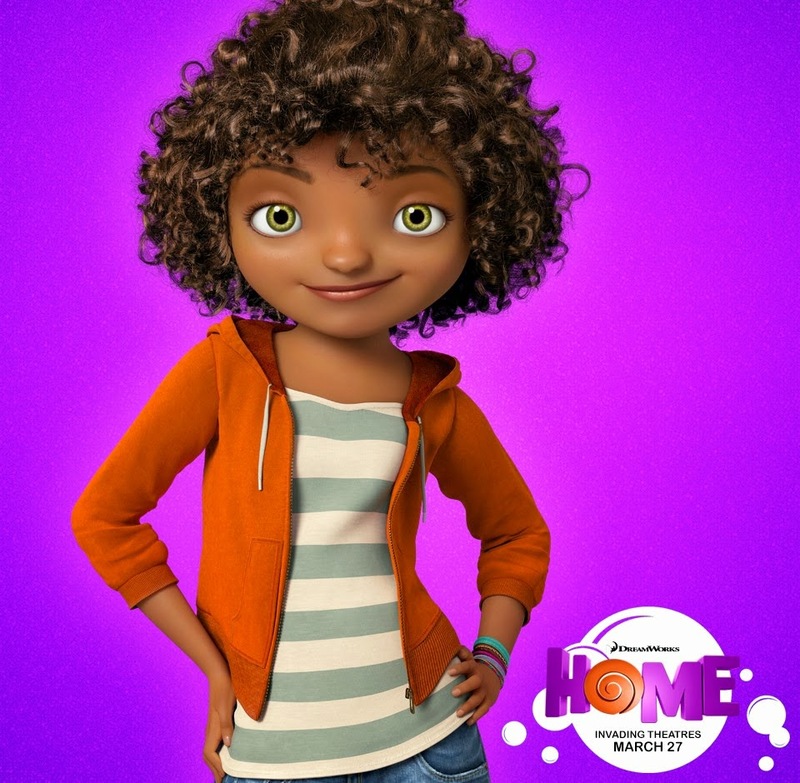 Gratuity “Tip” Tucci is a tough, smart, and fearless girl. 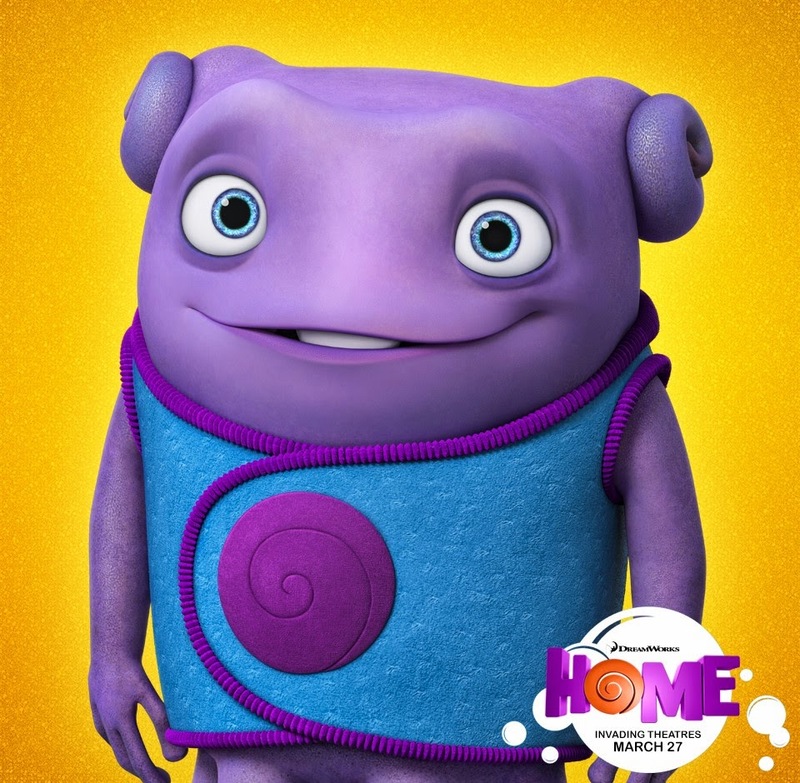 Since all humans (including Tip's mother) have been rounded up and relocated by the Boov, Tip has been living alone... until she bumps into Oh. Pig is Tip's cat (yes, you read that correctly). Always by Tip's side, he's the purrr-fect companion. Captain Smek - aka "The Wise/Brave/Amazing/Brave/Fashion-Forward Captain Smek" - is the leader of the Boov. He loves always being right as well as naming things after himself. 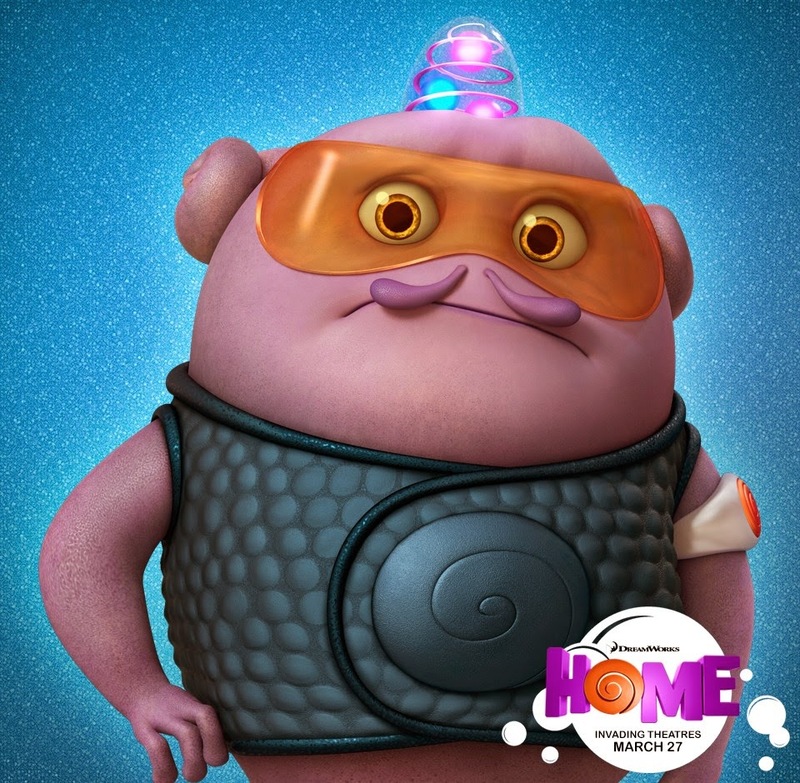 Kyle is a long-suffering Boov Traffic Cop - who was recently tasked by Captain Smek to hunt down Oh!